The Costa Mesa City Council meeting next Tuesday, January 17th, with the council scheduled to change personalities more often than a runway model changes outfits, that it might seem it suffers from multiple personality disorder. More about that shortly. I already mentioned the Warrants and thoroughly vented my spleen on the subject of legal fees in my earlier post, so I won't go there again. 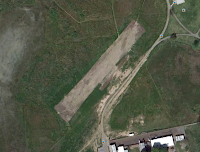 However, also in the Consent Calendar is the proposal for an extension of The City's agreement with the Harbor Soaring Society for one year for the use of space in Fairview Park. You can read the staff report HERE. We also had the results of a payroll audit conducted by an outside firm that says, basically, we're OK with some minor procedural changes. If you really want to read the staff report you'll find it HERE. OK, deep breath now, because this is where it's going to get very compli cated. As was discussed during the Joint Meeting of the City Council/Redevelopment Agency last Tuesday, the staff and legal counsel recommended that a Housing Authority be formed for the purpose of assuming the assets of the RDA, which is scheduled to be dissolved February 1st, as I understand it. We are assuming that the actions they will take Tuesday will somehow shelter the assets of the RDA and keep those funds in the city, although they will NOT be part of the General Fund. First, following the City Council Closed Session at 5:00 the council will reconvene in open session and process the agenda through the Consent Calendar, including Public Comments and the CEO Report. Then, it will adjourn and reappear as a Special Joint Session of the RDA and Council, HERE, at which time they will take Public Comments, Agency Member Comments then consider a resolution, HERE, amending the Enforceable Obligation Payment Schedule, HERE, and the Initial Recognized Obligation Payment Schedule, HERE, and transmitting that payment schedule to the City, as successor agency. The City Council will accept the amended Initial Recognized Obligation Payment Schedule from the Agency. The Joint session will be adjourned. Then a Special Joint Meeting of the City Council and the Housing Authority will be convened, HERE. More Public Comments will be taken, and the council, wearing two new hats, will consider forming a brand new agency, the Costa Mesa Housing Authority, HERE. The process will involve five (5) separate resolutions. Those are listed below, plus the list of Housing Authority bylaws and Asset Receivables. Each is a "hot link", just click on it to read the item. Once that is completed the Special Joint meeting will be adjourned and the regular City Council meeting will be reconvened. Whew! On the rest of the agenda we find the withdrawal of a Public Hearing regarding Target Store operating hours. I didn't give you a link because it's been withdrawn. The second Public Hearing is review of the Planning Com mission's determination of the proposed improvement of the Villa Venetia and Pine Brook Village Apartments. There is a two-part staff report, HERE and HERE, along with a Supplemental Memo, HERE and Photos, HERE. There is no Old Business, but under New Business is a request from property owner Al Morelli for a refund of his fee for the review of the Target operating house, mentioned above, HERE. Finally, there is a request, apparently generated by non-elected councilman Steve Mensinger for the formation of a "Mayor's Charity Dinner", HERE, which, on the surface seems like a nice, feel-good kind of thing for our city. However, it does give me a little twinge because it seems to be another smoke screen - much like the Snoopy House - that may distract us from the really important issues at hand. I read the staff report and wish there was a little more clarity on just how the funds generated by this dinner would be used. 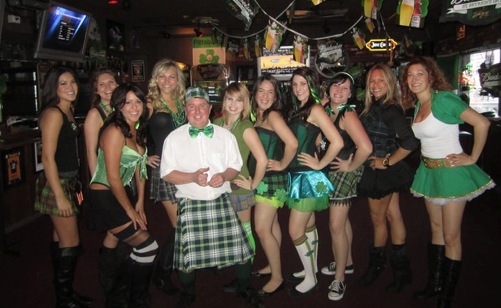 And, heck, it might give Mayor Monahan a chance to dress up in something besides his wee kilt. That's it for the weekend. I've wrung myself out posting today and now you have the weekend to digest all this stuff over the three-day holiday. I'm going to spend a big chunk of my weekend watching football. If you find you rself looking for something to do, The City is hosting an Electronic Waste Collection event at the City Hall parking lot both Saturday and Sunday this weekend. So, bring all that hard-to-dispose-of electronic stuff - computers, printers, copiers, fax machines cell phones and toner cartridges - on over. Read more about it HERE. Are Legal Fees Killing Costa Mesa? However, the Warrants that are part of the Consent Calendar - that section of the meeting where those items might be voted upon as a group without comment - and a few items really rocked me back. I'll simply address the legal fees on these Warrants, #2402, HERE and #2403, HERE. You may recall that the Warrants in the previous regular council meeting contained some eye-opening legal fees, too. For example, high-priced Jones Day billed us at that time for $133,000! I was aghast at that number. HA! Chicken feed! SEE WHAT HAPPENS WHEN YOU IGNORE ELEANOR! Warrant #2402 contains a check written to Jones Day in the amount of $175,000! Hold it! Hold it! On the next warrant, #2403, we cut them ANOTHER check for $81, 919.26! Two checks totalling $256,919.26! And, as you will recall, despite repeated demands by resident, former employee and lawyer, Eleanor Egan, for some kind of a cap on their contract, our City Council went ahead and gave Jones Day a virtual blank check! Feeling kind of woozy from thos e numbers. You'd better sit down, then, because it gets worse. We also cut a check to our contract City Attorney, Jones & Mayer, for $111,461.34! Yep, we budgeted $800,000 in July - about $68,000 per month - and have consistently spent nearly double that amount each month just for Jones & Mayer. There is also an amount for $540.00 to another law firm, bringing the total for legal fees to $368,920.61! Stay seated, there's more. We also cut a check to The Krolikowski Law Firm for $150,000 for the settlement of an injury claim! So, in these two warrants and a legal settlement, we managed to spend $518,920.60! Yikes!! If we throw out the settlement, which I suspect was paid from our self-insurance fund, that still leaves $368,920.61. Multiply that number by 12 and you get $4,427,047.22 - the rate at which they are blowing through the legal budget! We have the mid-year budget review scheduled for a meeting on February 28th. By that time it's likely we will see another quarter million dollars spent on legal fees thanks ENTIRELY to the irresponsibility of the majority on this city council. They're acting more like drug addicts than fiscal conservatives with our money - a fact that should not be taken lightly. Trying to keep up with all the schedule changes with Costa Mesa meetings these days is kind of like watching a shell game. Remember the old shell game? You know, the one where the guy has three walnut shell halves and a pea and keeps moving the pea from one to another to another until he's sure you've lost track - then asks you to bet on which one holds the pea. 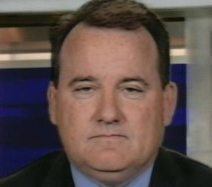 Well, that's kind of what it's like trying to keep track of Costa Mesa meetings these days. The confusion about the Special Council meeting on Righeimer's Charter was like that last week. City Council Meeting - City Council Chambers, 6:00 p.m.
Planning Commission Study Session - Conference Room 1A, 6:30 p.m. Homeless Task Force Meeting - Police Department Emergency Operations Center, 5:30 p.m.
3R Committee, Conference Room 1A - 6:00 p.m. Parks and Recreation Commission Meeting - City Council Chambers, 6:00 p.m.
Investment Oversight Committee Meeting - Conference Room 1A, 3:30 p.m.
Special City Council Meeting - Second Public Hearing on proposed Charter - City Council Chambers, 7:00 (NOTE: The disposition of the regular Planning Commission meeting is pending. Normally, it would be held the second Monday of each month in City Council Chambers, which will conflict with the Charter Public Hearing) SPECIAL NOTE: The Planning Commission meeting scheduled on this date has been canceled. The next Planning Commission meeting will be on March 12th. 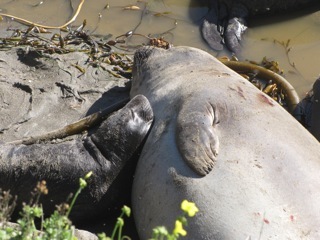 Some of you will be looking for something to do with your kids this long Martin Luther King holiday weekend, so here's my annual suggestion for you... Jump in the car and motor on up to the Piedras Blancas Elephant Seal colony for an experience you and your kids will NEVER forget. I've written about this experience several times in the past, HERE, HERE and HERE. I won't repeat all I've previously written except to say that each of you should find a way to visit that venue at this time of the year. 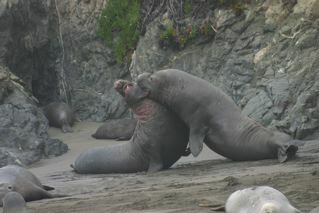 Now is Prime Time - baby elephant seals are popping out like Pez, males are fighting over mating rights and there is now mating going on before your very eyes. 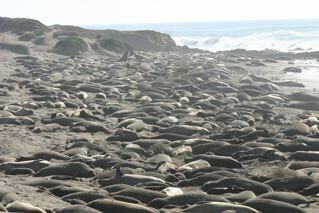 The Piedras Blancas Elephant Seal colony is located on Highway 1, approximately 50 miles north of San Luis Obispo. It's 4 miles north of Hearst Castle, which is another venue you could visit on this long weekend. The drive north along Highway 101 will take you through Santa Barbara - a perfect place for lunch. Once you turn onto Highway 1 at San Luis Obispo you'll pass through Morro Bay, Cayucos, Cambria and San Simeon before reaching the colony. Each little community offers much to visitors in the way of food and shopping and glorious vistas. Each offers affordable accommodations, too. Of course, Hearst Castle - 4 miles south of the colony - is a great place to stop, visit the gift shop, see the museum, grab a snack and use the restroom. If you want to take a tour of the castle, I highly recommend including the docu-drama about the construction of the castle shown in the IMAX theater on site. It really enhances any castle visit. The elephant seal viewing site now has two large parking lots right along the highway and two boardwalks from which you can safely stand and look down on the elephant seal extravaganza only a few feet away. You'll find helpful docents, members of the Friends of the Elephant Seal, on site to answer questions and enhance your visit. Look for the smiling folks in the blue windbreakers. If you're lucky you'll see a birth or two during your visit. And, because of the location of this colony, you'll likely also see otters, Harbor seals, Stellar Sea Lions, and perhaps some dolphins and whales cruising past. 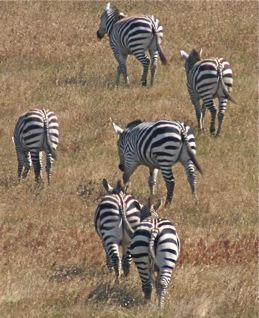 Heck, you might even see some of the Hearst Ranch zebras as you approach the castle. 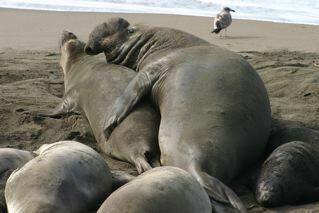 The Piedras Blancas Elephant Seal colony is the fastest growing colony in the world! 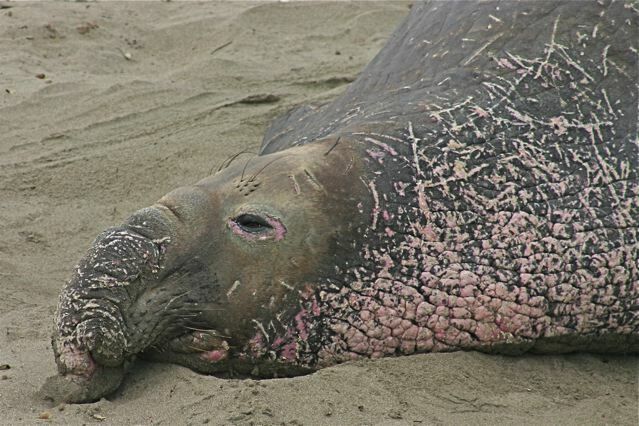 Approximately 17,000 elephant seals visit this site each year - twice - following long ocean voyages - up to 5,000 miles - where they forage for food and fatten themselves up. The pups, which weigh between 60 - 80 pounds at birth, nurse for almost a month, gaining 10 pounds a day! That's right! And the mother will lose about 20 pounds a day during that time. By the time the pups are weaned they will weigh 350 pounds or more. On the other end of the spectrum, the largest males weigh around 5,000 pounds - as much as your Suburban! 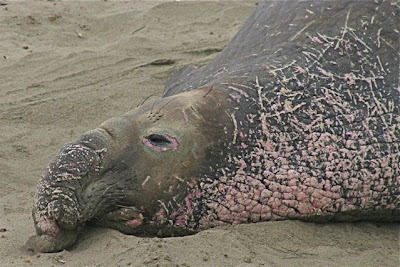 Since none of the elephant seals eat during their visit to the rookery, living on stored fat, the big guys will drop around one third of their body weight before they depart in a couple months. You'll almost certainly see the big guys fighting - raising up, chest-to-chest, and slamming each other with their prodigious teeth - trying to defend a harem of anywhere from 10-50 females. 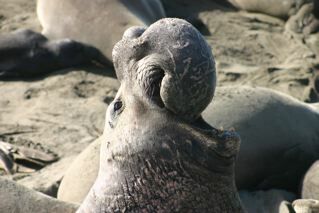 Plan a trip to the Piedras Blancas Elephant Seal colony this weekend, or anytime between now and the beginning of March. The last four years more than 4,000 pups were born to this colony, so it's quite a show. Give yourself a treat - jump in your car for a trip to California's most pristine stretch of coastline for an experience you'll never forget. 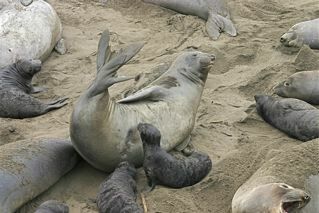 For more information visit the web site for the Friends Of The Elephant Seal, HERE. In a press release today the Costa Mesa Police Department announced the receipt of very significant grant funding from the Office of Traffic Safety to be used to improve traffic safety in our city. I've published the text of that press release below, but the titles and emphasis is mine. This is more good news for the residents of Costa Mesa and the vi sitors to our city. At a time when the CMPD is trying to find ways to continue to provide excellent service to our community despite severe staff reductions imposed by the current City Council, grants such as this one help maximize the effectiveness of our resources. Costa Mesa Police Department has been awarded a new traffic safety grant for a year-long program aimed at preventing deaths and injuries on our roadways. The $183,448 grant awarded by the Office of Traffic Safety (OTS) to Costa Mesa will aid in the city’s ongoing effort to improve traffic safety and the quality of life. New equipment purchases and special traffic enforcement measures will be instituted by the Costa Mesa Police Department as part of an on-going commitment to keep our roadways safe through both enforcement and education. “The Costa Mesa Community and Police Department are grateful for the ongoing support from the Office of Traffic Safety in supporting our DUI enforcement endeavors,” said Costa Mesa Police Chief Tom Gazsi. “We do believe that these valuable programs save lives and help in educating the community.”The grant will assist in efforts to deal with traffic safety problems and to reduce the number of person skilled and injured in traffic collisions. Traffic deaths from all causes declined in California by 11.9 percent, from 3,081 killed in 2009 to 2,715 in 2010. While alcohol impaired deaths saw a sharp decline last year, DUI deaths remain the largest sector, at more than 30 percent of traffic fatalities. The grant activities will specifically target DUI offenders, Motorcycle Safety, drivers with suspended or revoked licenses, red light running, speeding, and seatbelt violations. This will be done through the use of DUI/driver’s license checkpoints, special enforcement operations, and court stings where DUI offenders with suspended or revoked licenses get behind the wheel after leaving court. DUI/Drivers License Checkpoints are a key component of the grant. These highly visible, widely publicized events are meant to deter impaired driving, not to increase arrests. Research shows that crashes involving alcohol drop by an average of 20 percent when well-publicized checkpoints are conducted often enough. According to the National Highway Traffic Safety Administration (NHTSA), checkpoints have provided the most effective documented results of any of the DUI enforcement strategies, while yielding considerable cost savings of $6 for every $1 spent. This grant also provides drug impairment training to help combat the increasing problem of drivers under the influence of legal and illegal substances. Grant funding will allow 2 officers to receive specialized training to detect impaired drivers under the influence of legal and illegal drugs. This training will provide on-the-spot assessment of drivers suspected of drug impairment. For a third year in a row, at least 2 special motorcycle safety enforcement operations will be conducted as part of the grant. Motorcycle fatalities have finally dropped in California, following a decade long rise in deaths. In 2010, 353 motorcyclists were killed, a 37 percent drop from the all time high for California in 2008. Costa Mesa Police Officers will be conducting specialized enforcement efforts throughout the next eight months. Extra officers will be on duty patrolling areas and events where motorcycle crashes and incidents have occurred. Officers will be cracking down on traffic violations made by regular vehicle drivers and motorcyclists that result in far too many motorcycle collisions, injuries and deaths. 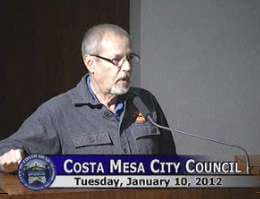 We learned a few things during last night's marathon Costa Mesa City Council meeting. Is it still a "marathon" if it ends short of midnight? Last night they finally wrapped things up at 11:50, so maybe it was only a "mini-marathon" I just know that I was thoroughly wrung out, having arrived at council chambers at 4:45 to be sure I had a place to sit. You can watch the entire meeting on streaming video HERE. We learned, for example, that the lamest of lame duck council members, Eric Bever, apparently plans to continue his record of occasional appearances at the meetings for which he's being paid to serve the residents of our city. He missed last night's meeting, so that he's batting .500 for the month and year. However, he can make it .666 if he makes the next council meeting on the 17th. We know, because he's told it to us from the dais, that he "didn't sign up for this". And, as he told us at the last meeting, if we didn't like it "tough luck!" Actually, he wasn't missed last night. We also learned that there's a VERY big difference between "hearing" and "listening". Dictionary.com provides this definition of the word "hearing": opportunity to be heard. It defines the word "listen" thus: to pay attention; heed; obey. Last night the Costa Mesa City Council "heard" us, but they certainly didn't "listen". 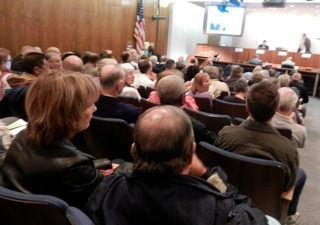 As mentioned in my earlier post about the demise of the Redevelopment Agency, a huge crowd tried to attend the first public hearing of Jim Righeimer's Charter scheme last night. In large part because the activist group, Costa Mesans for Responsible Government, had flooded the city with fliers announcing the hearing (with an incorrect start time of 6:00), by the time the meeting began following the RDA meeting, every single seat in the council chambers was filled - it seats nearly 200 souls and is rated for 256 - overflow viewing available in Conference Room 1A was packed with another 25 interested parties and approximately 100 others stood on and around the council chambers porch, watching and listening to the proceedings on the television monitor placed there by the CMTV staff. And the crowd was not a happy group. City Chief Executive Officer Tom Hatch kicked off the meeting by providing a little history, sorting out a schedule issue, then turned it over to Interim Communication Director Bill Lobdell, who outlined the various resources available to interested parties who might want to know more about the Charter. In my opinion, despite the fact that I think this process stinks, The City has done a remarkable job of providing information on the subject on the web site and also provided an easy-to-use button on the page for folks to include suggestions and ask questions. Then, the sperm donor of this bogus scheme, Mayor Pro Tem Jim Righeimer, launched off into his segment of this meeting by saying, "Since I started this...." Boy, is that ever true! It is Righeimer, and Righeimer alone, who launched this ballistic missile into the heart of our city and now we're all going to suffer the fallout. One inter esting sidebar during Righeimer's presentation was the question Wendy Leece asked him. After he read the preamble of his Charter, word-for-word, to the audience, Leece asked him where, specifically, the language for the Preamble came from. He mumbled and stumbled and when she persisted his reply was, "I have no idea. ", which was pretty curious, since he tells us he spent months as he cobbled this thing together all by himself by copying and pasting from other Charters from several cities. THREE HOURS OF PUBLIC COMMENT! After an hour of banter, at precisely 8:00 the council began hearing Public Comments. Three hours, several breaks, one ouster, one scolding and 55 speakers later they had finally exhausted the supply of concerned folks wanting to talk and began their negotiations of changes. Before we get to that, though, there were a few highlights from the speakers that need to be addressed, among them were the large number of union representatives/workers who rose to speak in support of a Prevailing Wage in the Charter. Not quite half the speakers mentioned the Prevailing Wage. From their body language, you could almost see the council majority mentally discounting those comments as rants from outside agitators. Righeimer came close to saying those words at one point. 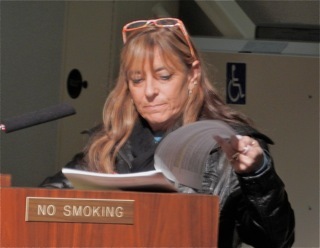 As always, there was a cadre of regular attendees at these events who took the time to actually investigate the issue and willingly stepped up to the podium to address the council, knowing full well that they may be chided for their trouble. And, that did happen. I won't try to quote every single speaker, but they all were respectful and straightforward with their comments. And, it was very refreshing to see some new faces - folks who had never spoken before, but took the time to address this important issue with the council last night. One interesting feature in the audience last night was the prevalence of the bright green fliers. Organizers suggested to members of the audience that, rather than clap and otherwise make noise to support the comments of speakers, they simply wave their green fliers in the air to show support. It seemed to be quite an effective tool. From my vantage point in the back of the room, sometimes it was like sitting in a tree on a windy day - all the "leaves" were aflutter. This, of course, antagonized the council - as resident pouty bully Steve Mensinger told us at the end of the meeting. I will give you a short 3-minute video clip taken from the City feed of retired Planning Department official and 40-year resident, Perry Valantine. As is always the case, he presents the issue with vision and clarity and presents the council with respectful points to consider. He left us with the best tag line of the evening - "Do it right, don't do it fast. 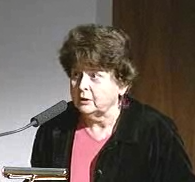 "At the very end of the clip you'll hear ONE person in the audience clap (and can see the "fluttering" mentioned above) that caused Monahan to lose his grip. He immediately called another "5-minute break", which turned out to be 15 minutes. He returned to scold the audience for being too boisterous. Ha! He should have been in Huntington Beach last Thursday, but that's another story. At 11:00, after the Public Comments had ended, most of the audience bailed out, apparently not caring about whether the council actually listened to them or not. Had they stayed another fifteen minutes they would have seen that, with very few exceptions, they did not. Of the more than 100 comments and suggestions - including the complete presentation of two other city charters for their consideration - and numerous verbal suggestions that evening, the council majority (minus Bever, of course) selected only 8 items for inclusion with Righeimer's Charter. I'm not going to try to give you the full text of each addition here - you can read each of them on the list HERE. Section 201 add #1, dealing with qualifications, including residency requirements. Section 300, amend per #2 modifying Ordinance implementation date to coincide with current code. Section 401, add #7 dealing with construction and maintenance contracts. Section 602.1, add #6, proclaiming that the city is a right to work City. No employee is required to join a union or the OC Employee Association. Add #18, protecting status as "Rule of Law" City and continues to oppose illegal immigration violations and so-called "Safe Harbor" cities. Section 801, add #4, dealing with a Charter Review. That was it! A ll other segments of Righeimer's Charter, including his version of his previously-rejected Paycheck Protection Plan, Section 603 in his Charter, remains intact. Also remaining is Section 602, which requires a vote of the people, not a vote of the elected council, to increase employee retirement benefits in the future. And, of course, the section under Fiscal Matters deleting the requirement for the Prevailing Wage remains part of the Draft Charter. The revised draft will be produced and placed on the City web site - probably this week. T he City will continue to receive and consider other amendments and comments until the second Public Hearing, which is now scheduled for Monday, February 13th at 7:00 in City Council Chambers. The only mention of possible other informational meetings was made by contract City Attorney Tom Duarte, who recommended we NOT hold any more between now and February 13th. Of course, I can't close without observing the infantile behavior of Steve Mensing er at the end of the meeting. He ranted and raved, chiding residents who dared step up and speak against their plans, waving a copy of the green flier around like he'd found the Holy Grail. One must assume that he is so certain of election in the fall that he really doesn't care how stupid he looks up there on the dais. I guess we'll see how that goes.